The Six Brandenburg Concertos by Johann Sebastian Bach (1685-1750) are universally regarded as some of the greatest musical works ever written. Full of joy and almost unfathomable creative genius, Bach sent the scores to the Margrave of Brandenburg, Christian Ludwig, in Berlin on March 24, 1721 as a sort of audition portfolio. Though Bach never heard back, the music was preserved in the Brandenburg archives. When rediscovered in the 19th century, they quickly became some of the most beloved and oft-played collections of orchestral music of all time. Join Montreal’s Ensemble Les Boreades for two performances of the complete concertos over two nights performed alongside lesser-known orchestral works from the Baroque era. Les Boréades has performed with world-renowned artists such as Hervé Niquet, director of the Concert Spirituel de Paris; Skip Sempé, harpsichordist and director of Capriccio Stravagante; violinists Manfred Kraemer and Adrian Butterfield; harpsichordist Alexander Weimann; conductor Eric Milnes; cornettist William Dongois; recorder player Stefano Bagliano; as well as with tenor Charles Daniels, and Canadian singers Matthew White, Karina Gauvin, and Laura Pudwell. On stage, Francis Colpron, with Les Boréades, has explored the theatrical and musical worlds of the 17th and 18th centuries in shows such as Acis et Galatée (2015), La belle danse (2013), Tabarinades (2010), and Molière en Musique (2008). He has also acted in theatrical productions for young people such as Garde-Robe(2007) and La nuit de la Patate (2016). Noteworthy collaborators with Francis Colpron have included the directors Joël da Sylva and Jean-François Gagnon, and the actors Carl Béchard and Sophie Faucher. Francis Colpron was associate flutist with Trinity Consort of Portland from 2000 to 2009. He has been a guest soloist with groups such as Apollo’s Fire of Cleveland, the Edmonton Symphony, the National Arts Centre Orchestra, Opera Atelier, Thirteen Strings, the Studio de musique ancienne de Montréal, Les Violons du Roy, the Nova Scotia Orchestra, and L’Harmonie des Saisons. As well as teaching at the Université de Montréal, he is frequently invited to share his experience as a teacher at well known summer music camps such as Amherst in the United States, CAMMAC in Quebec, and Boxwood in Nova Scotia. His discography consists of more than 40 recordings. 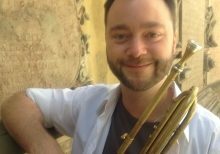 Alexis Basque is a graduate of the Conservatoire de musique du Québec, where he received his formal training in modern trumpet performance and began his first foray into composition and orchestration. He picked up the Baroque trumpet in 2005 in an attempt to better understand the origins of his instrument and in order to familiarize himself with historically-informed performance practices. He was then able to deepen his knowledge by attending the Mozarteum Sommerakademie of Salzburg with Susan Williams in 2012, and was introduced to the world of natural brass playing while working with renowned trumpet and natural horn players Graham Nicholson and Jean-François Madeuf. The discovery of the practice of instrumental doubling, as commonly seen in the baroque period, compelled him to add the baroque horn and tromba da tirarsi to his arsenal of instruments. Alexis is an avid performer of Baroque music, playing and recording regularly with Montréal’s most active and innovative ensembles, including the Ensemble Caprice, the Bande Montréal Baroque, les Idées Heureuses, the Theater of Early Music, la Nef and the Studio de Musique Ancienne de Montréal. 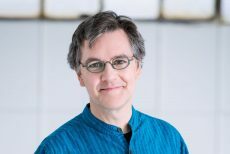 He also performs with various orchestras at Bourgie Hall as part of the Montreal Museum of Fine Arts’ multi-year project of presenting the complete cycle of Cantatas by J.S. Bach. Outside of Quebec, he has performed with the Toronto’s Schola Cantorum, Arradia Ensemble, Thirteen Strings and the Pacific Baroque Festival Orchestra. In 2013 he was invited to play in the Ensemble Barrocade of Tel-Aviv’s Israeli tour of the music of J.S. Bach, and performs with the Bach Society of Minnesota since 2016 on both horn and trumpet. As an early music soloist, he performed in Ensemble Caprice’s Vivaldi project, The Return of the Angels (Analekta, 2012). He can also be heard playing both trumpet and horn in the complete recordings of the Bach Cantatas by the Bande Montréal Baroque (ATMA Classique), a project which began in 2014. Alexis also performs actively on the modern trumpet in various orchestral settings. He has performed as Principal trumpet with the Grands Ballets Canadiens, and also holds Principal trumpet positions with the Orchestre symphonique du Saguenay-Lac-St-Jean since 2014, and with the Orchestre symphonique de Trois-Rivières since 2017. Olivier Brault has enjoyed an international career for almost thirty years. Baroque violin teacher at McGill University, he is the director of Sonate 1704 (Québec) and of the ensemble Les Goûts Réunis (Luxembourg), principal violin with the Four Nations Ensemble (New York) and Les Boréades de Montréal and has been concertmaster of Apollo's Fire Baroque Orchestra (Cleveland) from 2011 to 2018. He can be heard on more than sixty recordings. 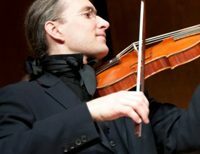 In 2007, he completed a doctorate at the Université de Montréal on French music for violin and figured bass, an expertise that leads him to give lectures and masterclasses in prestigious institutions such as the Conservatoire royal de musique de Bruxelles and the Conservatoire de musique et de danse de Paris. In 2011, he was awarded the medal of the Assemblée Nationale du Québec. In 2016, an article from the Canadian Broadcasting Corporation placed him among the ten Canadian violinists that must be known.